You may have noticed that up until very recently, we only sold tea in its loose-leaf form. There are a few reasons for this. The first is that loose-leaf tea is often the preferred state for luxury teas. When brewed in a tea pot or French press in this form, the leaves have the room to fully unfurl and release their flavor into the water. 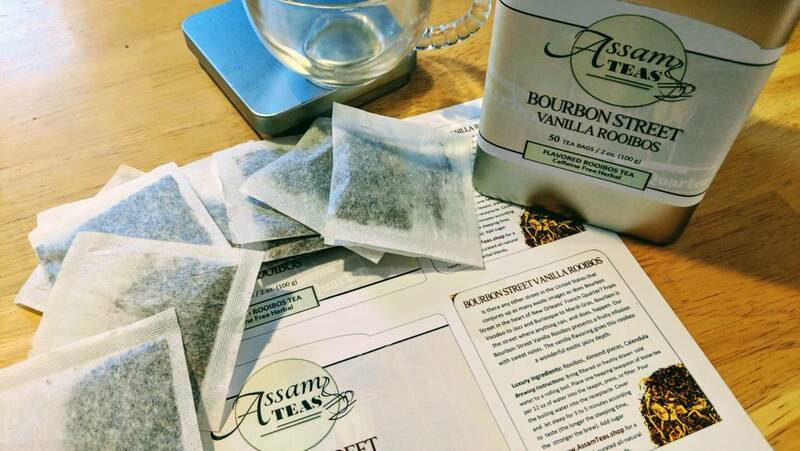 You can imagine how a traditional tea bag that is flat with the leaves squashed in between would restrict the tea leaves from opening and therefore not allowing the leaves’ full flavor to blossom. I suspect this is why many common tea bags have finely ground leaves in them (also called tea dust), not full tea leaves. To provide that extra surface area in hopes the tea will be of greater flavor. Unfortunately, tea dust is considered the worst grade of tea and you will never get the best flavor out of it. I want to provide my customers a truly great cup of tea. I want you to have every precious bit of flavor for your enjoyment. The second reason is that no one had asked for bags, until one of my return customers recently asked if he could get bagged tea. 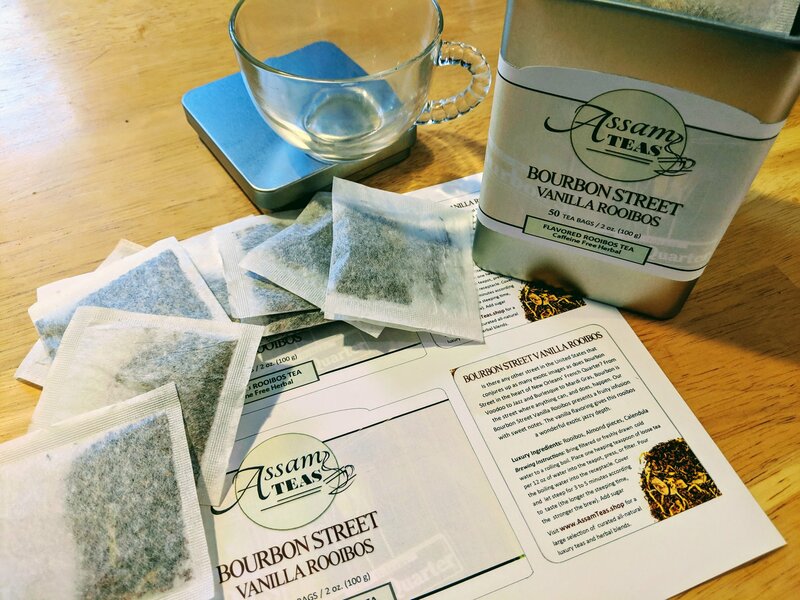 He had friends who loved our Bourbon Street Vanilla Rooibos but didn’t want the hassle of loose leaf. So a month ago we began offering tea bags for our teas. Which is better? For us it’s about providing a great cup of tea. We aren’t here to judge how you get it. So now we provide both. Full bodied, luxury teas in both loose-leaf and in tea bags. We hope you enjoy them both as much as we do.